Chiswick Auctions has taken on a trio of books specialists from Bloomsbury Auctions as the west London saleroom kicks off 2018 with a new sales programme. Chiswick Auctions' saleroom in west London. This year, weekly general sales in west London have been shelved in favour of fortnightly events titled Interiors & Design. The new faces include Clive Moss, who is heading the books and manuscripts department following the departure of Simon Nuckley from that role last year. Moss has worked in the book trade for many years, first as a dealer with E Joseph Bookseller, Peter Harrington and Heritage Bookshop in LA, but more recently as auctioneer and specialist at Bloomsbury Auctions. Bloomsbury held its last sale in December. The brand name itself formed part of art consultancy and valuation firm Gurr Johns’ takeover of Dreweatts in October. Moss is joined full-time by Valentina Borghi, also formerly of Bloomsbury, who will head up sales in autographs and memorabilia. Ex-Bloomsbury expert Andrew Kerr will act as a part-time specialist working Thursdays. Remaining in the department is specialist Dr Carmen Donia, who is also aided by Nicholas Worskett as a consultant for special collections. The latest appointments follow hot on the heels of a series of newcomers at Chiswick, including fine art specialists Melissa van Vliet (Old Masters) and Krassi Kuneva (Modern & Post-War British Art). Both worked at the now closed Christie’s South Kensington, while Kuneva also worked at Christie’s King Street. The 2018 Chiswick calendar includes dedicated sales of Old Masters, urban art and Islamic and Indian art sales. The latter are headed by full-time specialist Beatrice Campi. She joins Chiswick Auctions from Christie’s King Street, where she was sale co-ordinator of the Islamic and Indian department. The fortnightly Interiors & Design sales will come under the management of Dr Jim Peake. He is the Chiswick Auctions specialist in ceramics and glass and will continue to offer quarterly specialist sales in that category. Suzanne Zack who joined the department in March last year and was formerly head of watercolours at Phillips Auctioneers in New Bond Street, has taken on the role of head of department. She will oversee all nine sales and will work alongside specialists Rohan McCulloch and Jan Leman in the department. Including the saleroom’s new department coordinator, Julian Laurence Samuels, who was formerly an art handler at Chiswick Auctions, the department has grown from three to six people. Beatrice Campi has joined Chiswick Auctions as an Islamic and Indian art specialist. The biannual Islamic & Indian Art sales will offer works on paper such as manuscripts, paintings and drawings as well as works of conventional craftsmanship such as ceramics, metalwork, textiles, arms and armours, glass, jewellery and lacquer. A third themed sale will be held in the summer months which focuses on a "specific topic or trend present in the wide artistic output of the Islamic and Indian lands". The next Islamic & Indian Art sale will take place on April 27. All of the sales are held in the Chiswick Saleroom. 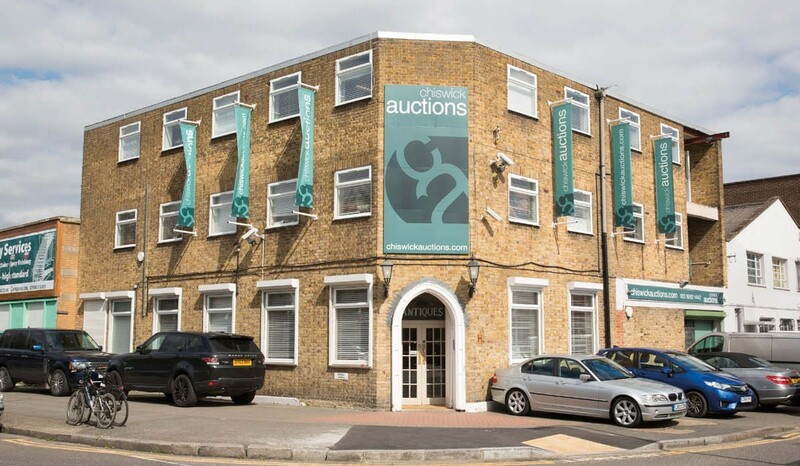 “The combination of specialist and Interiors sales ensures that Chiswick Auctions remains accessible, which is a core value,” said the spokeswoman. The Chiswick Auctions showroom and office in South Kensington. Chiswick launched its South Kensington showroom – now branded as Chiswick at South Kensington – last September after the demise of Christie’s South Kensington. The firm will be hosting valuation days in different locations around the UK throughout the year. The first of these will take place on Saturday, January 27, and will be held in Cheshire with the focus on Chiswick’s luxury departments: Designer Handbags & Fashion, Jewellery, Watches, and Wine & Spirits. The focus per event will change throughout the year. Chiswick Auctions managing director William Rouse said: “At Chiswick Auctions, we put emphasis on listening to our clients. Our full calendar of specialist sales, together with interiors sales, reflect the demand for works of art from across these different categories. We are the only auction room in London now to offer such a wide variety of sales in this bracket. “I am delighted to have welcomed a number of new key specialists to our team, from the worlds of Islamic art, fine art, books and manuscripts, employing 10 staff from Christie's and four from Bloomsbury.